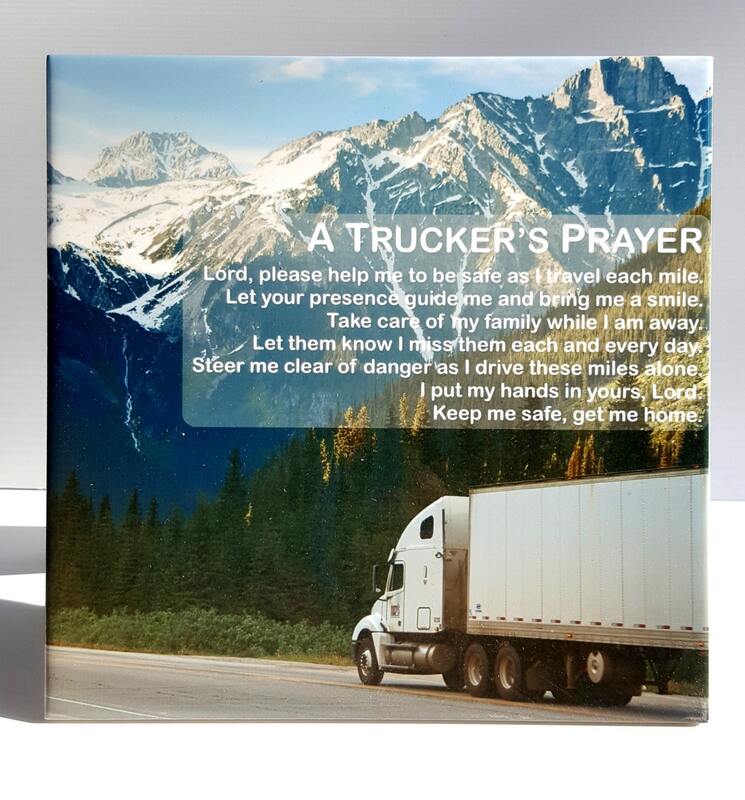 Only a truck driver and his or her family knows the sacrifices made when driving over the road and the countless hours they are away from their family and loved ones. 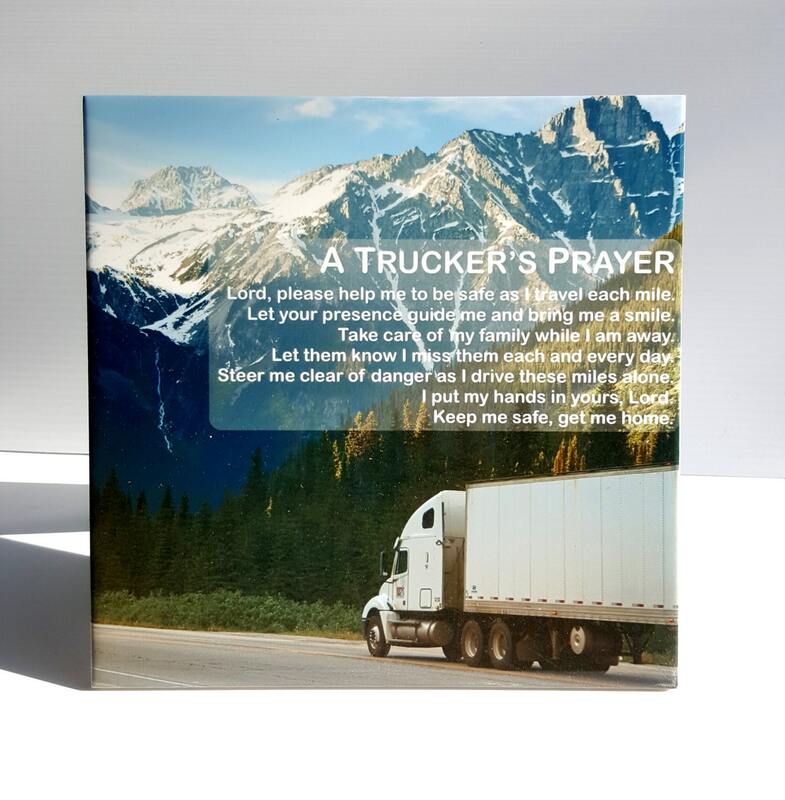 This prayer is a tribute to those men and women whose sacrifice keeps our country and our commerce on track. The beautiful plaque measures 8" x 8". They weigh approximately 1.9 pounds. 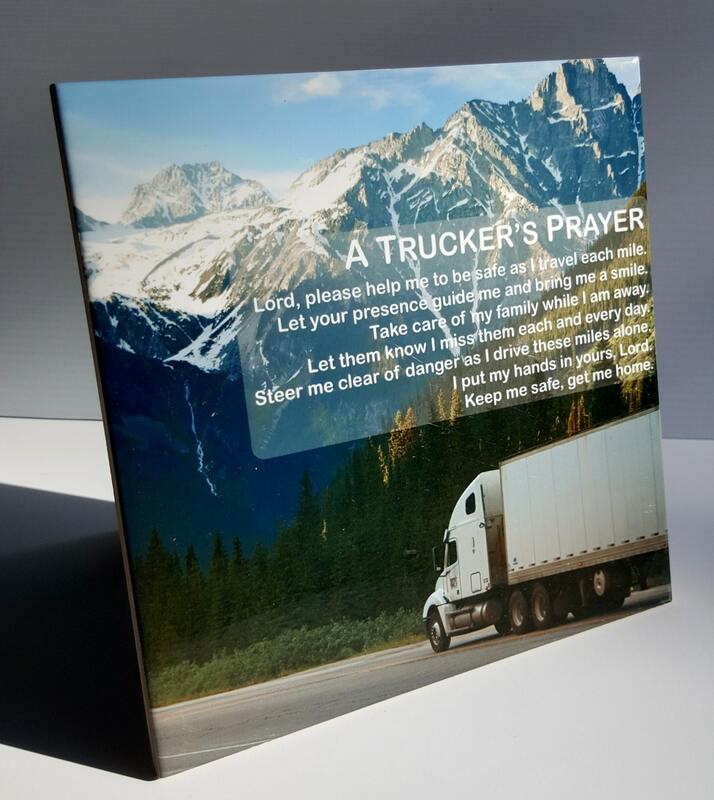 Each 8"x 8" Trucker's Prayer has an easel back attached. 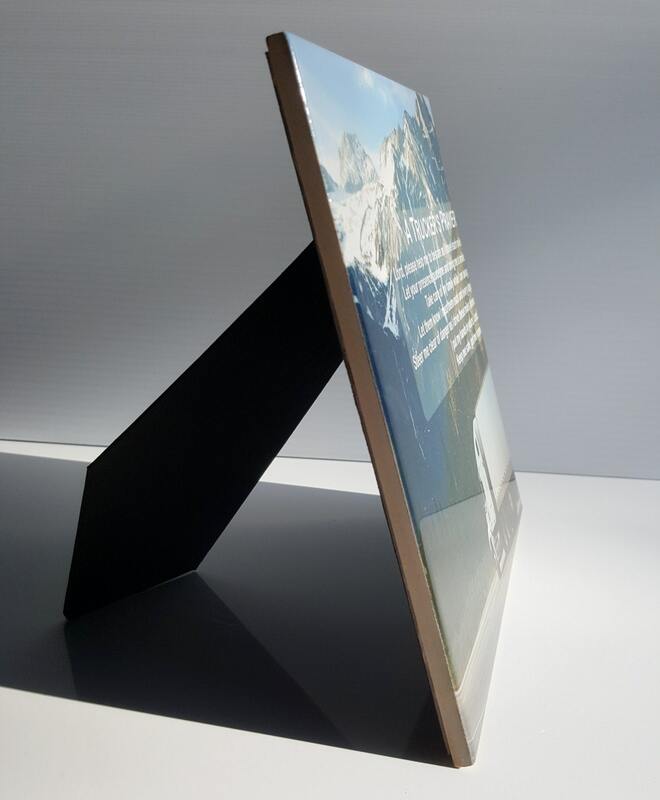 This means you don't have to purchase a separate easel or stand. 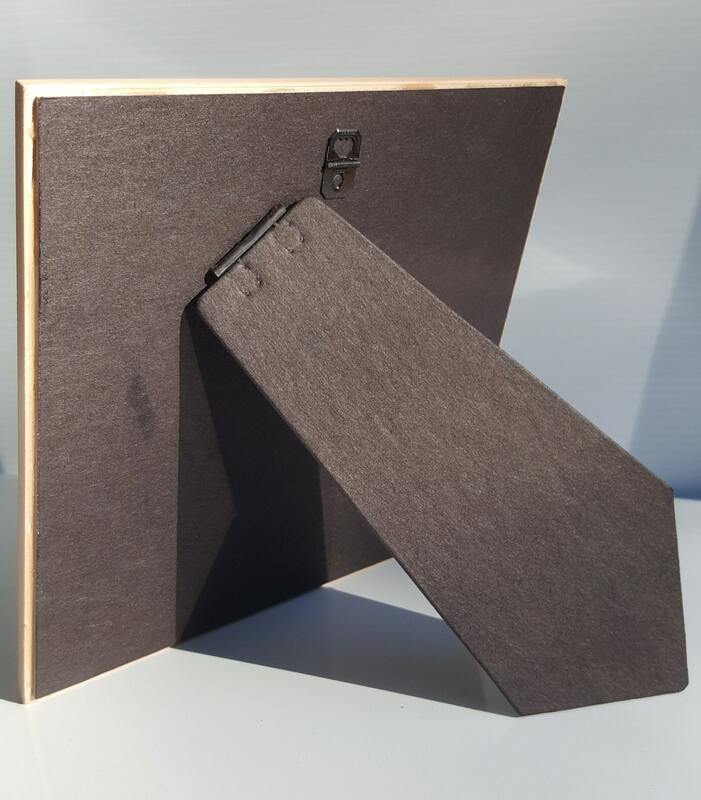 The easel back also has a small sawtooth hanger built in so that you can hang it on the wall, if you prefer.